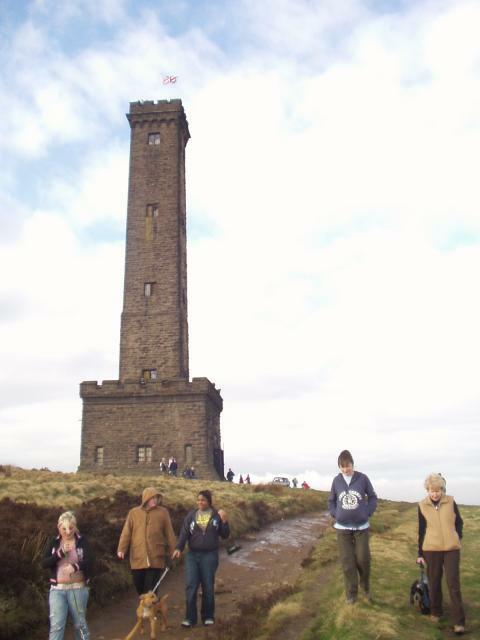 Bang slap in the middle of the square, and dominating the local landscape, is Peel Tower. More than a local landmark, it commemorates Sir Robert Peel, Prime Minister of Britain between 1841 and 1846, founder of the modern Police Force. © Copyright Ian Rutson and licensed for reuse under this Creative Commons Licence. This page has been viewed about 1821 times.